Capital works are planned during the 2017/18 financial year that will improve the management of stormwater collected on site during rainfall events. The works will increase onsite storage capacity to over 5ML and upgrade stormwater surge collection and pumping capacity. 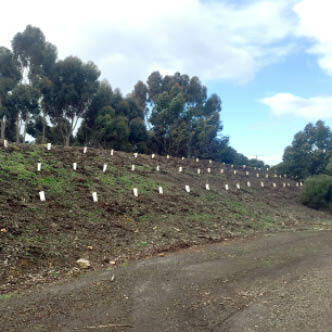 The project is aimed at avoiding stormwater flows from the site during normal rainfalls and reusing stormwater to irrigate amenity tree plantings and reduce dust from truck traffic.